Can your wizard-loving hearts handle the idea of Harry Potter, Ron Weasley, and Hermione Granger reuniting together again on the big screen? 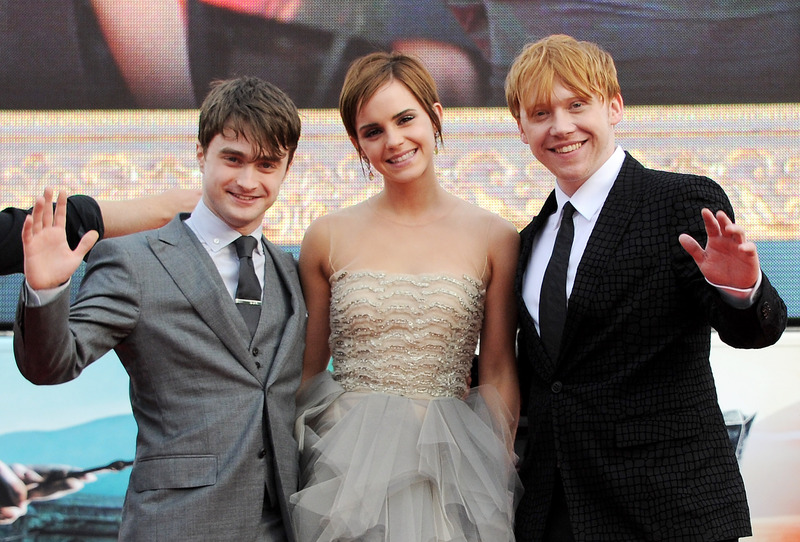 While this trio is currently gracing the stage in Harry Potter and the Cursed Child, there’s talk of them making the leap to the film again in a Cursed Child movie — a Cursed Child movie that would star Daniel Radcliffe, Rupert Grint, and Emma Watson. The Harry Potter story is done and over with, but Harry Potter still lives on. Though there might not be more books to come about the Boy Who Lived, we’re still very much living in the Wizarding World, whether it be via Newt Scamander, or off in the future with Harry and his family. There will be more Fantastic Beast movies down the road, but as for a Cursed Child movie, Harry Potter scribe J.K. Rowling has been quick to shut down all rumors. However, the rumors are out there, and they’re swirling again. Jim Hill, a journalist and someone very much in the Orlando theme park know, recently talked to the Unofficial Universal Orlando Podcast. There, he explained that he had talked to sources at Universal, who had talked to sources at Warner Bros., who mentioned that the studio is in early talks to reunite the original trio for an upcoming adaptation of Cursed Child. "They want this trilogy of movies to have the actors that we know and love from the original films, that we watched grow up, as adults," Hill continued. "And, of course, they're hiring a bunch of new, younger actors to play their children with the hope that, if we can lean on J.K. [Rowling], maybe there'll be The Cursed Adolescent." But this is just one of those things that simply won’t go away anytime soon. As long as there are Harry Potter stories out there, we’re going to keep begging for movie adaptations. Eventually someone’s gonna have to make us this movie, right?